Here is a rundown on my favorite kitchen tools. Eating real food means cooking from scratch, so there is obviously more food prep to do! These tools make life so much easier! These products are all products I have used myself unless it is no longer available. I’m showing the best price I found online. Many of these items are available at other retailers like Target or Walmart. The prices and locations are current as of the time this was posted. One of my most-used appliances, the Instant Pot is a super-versatile pressure cooker that makes it super convenient and fast to get dinner on the table. I mostly use it for making broth, soup, shredded beef or chicken, and hard-boiled eggs, but there is so much more you can do with it. 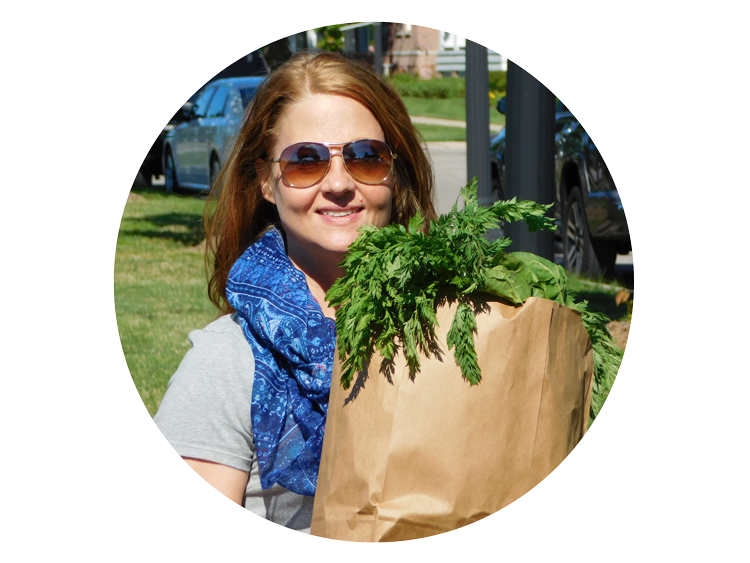 You can sauté, pressure cook, slow cook, and even make yogurt! I have made spaghetti squash with bolognaise, pork stew, and French onion soup. There are times that I use my 3 times in one day! The Instant Pot is ideal if you are short on space because of its versatility. It can cook almost anything! There are several different models: 6 in 1, 7 in 1, and 9 in 1, but they are all primarily a pressure cooker. They just have additional settings for making slow cooked, steamed or yogurt recipes. The Instant Pot is now widely available, but look for Cyber week and other holiday deals on Amazon for the best price. I purchased my standard 7 in 1 model for $68 a couple of years ago (a steal!). 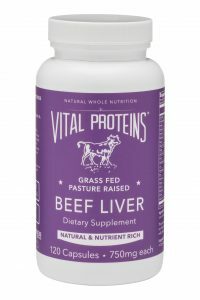 It is listed at $50 as of today, but out of stock. I would choose this 9 in 1 model today. Before I bought my food processor, I thought it was unnecessary and would be a hassle to clean all the parts. I was wrong! A little clean up is SO worth the time saved chopping. A food processor can also blend things to a nice, smooth consistency (nuts into nut butters)—something that is impossible by hand. I use my food processor to finely chop veggies to use in meatballs or casseroles so that there are no veggie chunks that cause my kids to not eat them! I have the Cuisenart Prep 7 which is no longer made. I do wish I had chosen one slightly bigger, so I am listing the Cuisenart Prep 9 here. So, if you’ve done away with pasta like I have, using vegetables in place of noodles is what you do! I started out with a cheap little hand-twisting gadget, and it was okay. When my garden zucchinis were too big to use with it, I bought the real Spiralizer. Game changer! This thing makes creating veggie noodles a breeze. You can use it to make different sized “noodles” out of any relatively firm vegetable or fruit. 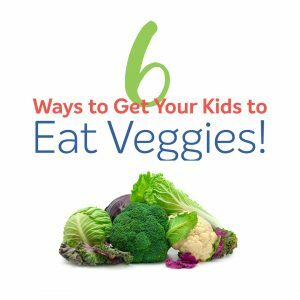 My kids like to help too, and when kids help cook vegetables; they’re more likely to eat vegetables! I got an immersion blender several years ago because I thought it would be nice for making lattes or butter coffees, but I use it for so much! It’s been a great investment. I use it to make butter coffee, blended soups, sauces, mayo, and salad dressings. It’s convenient because you can blend something right in the pot or bowl that it’s in! Makes for easy clean up. If you like jerky, dried fruit, fruit leather, or grain free snacks like granola or crackers, a food dehydrator might be a worthwhile investment. I’m glad I have mine because dried fruits, jerky, and grain free granola are very expensive to buy, and making my own saves a lot of money—plus you can control the ingredients! I also love my KitchenAid Mixer. This one is pricey, and you certainly don’t need it, but it is nice to be able let your mixer run while you do something else! Mine is the lift-bowl model (vs. the tilt model). It came with a mixer, whisk, and dough mixer blades. It has enough power to easily mix the thickest dough with ease. I also like that you can purchase other tools that work with or as attachments to the KitchenAid Mixer, like a meat grinder, spiralizer, or ice cream freezer. I have the ice cream maker and love it! Kitchen Aid Mixers come in tons of colors to match any kitchen! 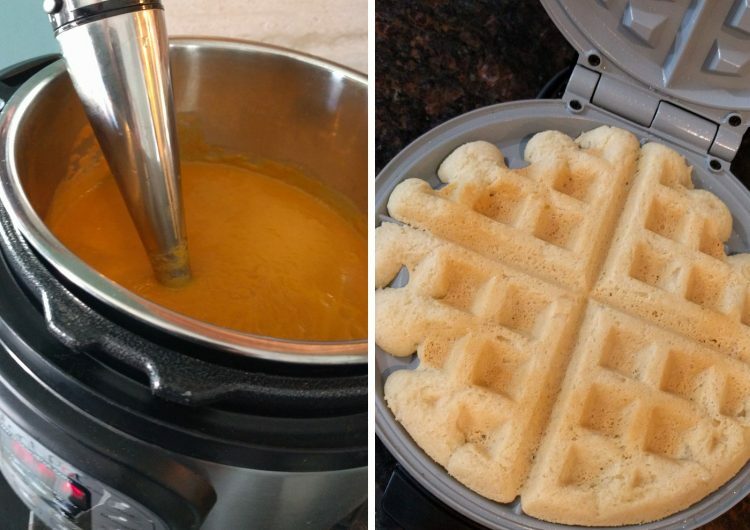 My waffle maker is super inexpensive, but it does the trick! It has a ceramic non-stick surface that works great every time I make grain free waffles (which is often). This one has variable heat and only takes a minute or two to warm up. There are definitely fancier models out there, but I haven’t found a reason to upgrade. Comment below with your favorite kitchen tools!